News of a successful £4m lottery funded project for The Canons and its grounds should be a game changer for Cricket Green. 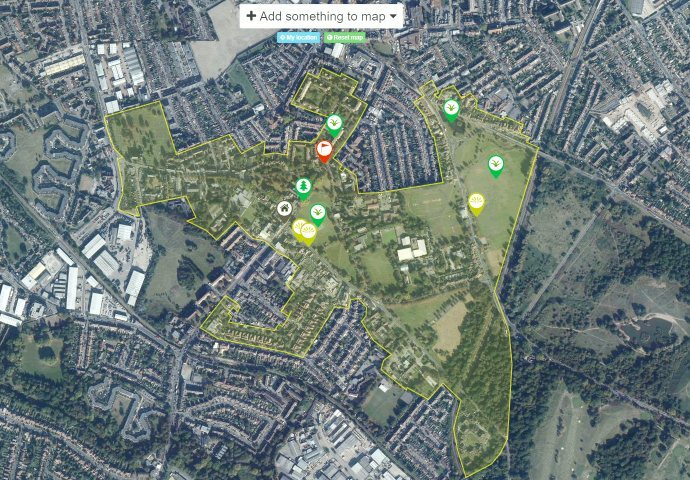 If the full funding can be secured then it will see major new investment to open up the house, restore the historic running track, improve wildlife habitats and support an array of community-led projects to involve more people and tell the story of this special part of Mitcham. We have already teamed up with Friends of the Canons and the Mitcham Society to draft much of the original bid and are gearing up now to bring it to life. Success cannot be taken for granted. There are some worrying aspects to the project. Plans for a new paved track cutting across the open space in front of Park Place from the playground to Cold Blows will blight this much loved open space. It will also sterilise much of the historic Mitcham Athletic Club grounds from being used for sport and informal recreation. Such short sightedness must not be allowed. The project will also test the mettle of Merton councillors and officers. The Council will have to step back and support the local community to take the lead from behind the scenes. The ultimate test of this one off investment will be the legacy it leaves. This will be measured as much by the involvement of local people in caring for Cricket Green’s future as by the physical changes to The Canons and its grounds or the number of new visitors to the area. We are rolling up our sleeves for the excitement to come. This entry was posted in Cricket Green Conservation Area and tagged Canons House, Heritage Lottery Fund, HLF on January 6, 2015 by mitchamcricketgreen.